Pablo “Pedrito” Martinez er fæddur í Havana á Kúbu 1973 og hefur starfað óslitið síðan hann var 11 ára gamall sem söngvari og slagverksmaður með mörgum helstu tónlistarmönnum Kúbu. Hann fluttist til Bandaríkjanna árið 2000 og stimplaði sig inn í tónlistarsenu New York með því að fá fyrstu verðlaun í samkeppni Thelonious Monk stofnunarinnar fyrir afró/latin trommara. Tónlist hans byggir á afrókúbanskri rúmbu hefð auk bata ryþma og söngva Jórúba ættbálka mið Afríku og Santeria hefðar s Ameríku. Gagnrýnandi New York Times kallaði tónlist hans “flókna blöndu fönks frá Afríku og nýja heiminum”. Meðlimir hljómsveitar hans eru rafbassaleikarinn Jhair Sala frá Lima í Perú, slagverksmaðurinn Alvaro Benavides frá Caracas í Venezúela og píanistinn og söngkonan Ariacne Trujillo frá Havana á Kúbu. Þessi magnaða hljómsveit kemur fram á opnunartónleikum Jazzhátíðar Reykjavíkur, fimmtudaginn 14. ágúst 2014. Pablo “Pedrito” Martinez was born in Havana, Cuba in 1973 and started performing at age 11 with some of Cuba’s finest musicians. He moved to New York where he made his first impact by winning the Theloniuos Monk Institute competition for afro/latin hand drummers. Sharing the stage with Pedrito in Reykjavik are electric bassist Jhair Sala from Lima, Peru, percussionist Alvara Benavides from Caracas, Venezuela and vocalist/pianist Ariacna Trujillo from Havana, Cuba. 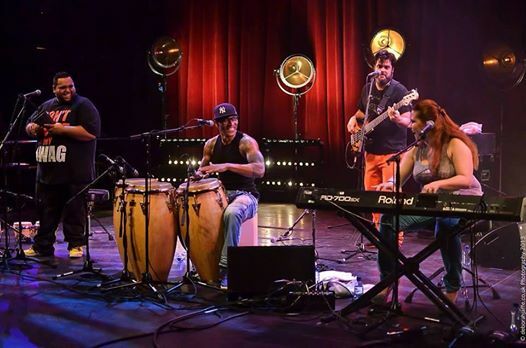 The Pedrito Martinez Group will be the opening act at this years Reykjavik Jazz Festival, Thursday August 14th. Stórsveit Samúels Jóns Samúelssonar á útitónleikum við Hörpu 15. ágúst nk. kl 17.00. 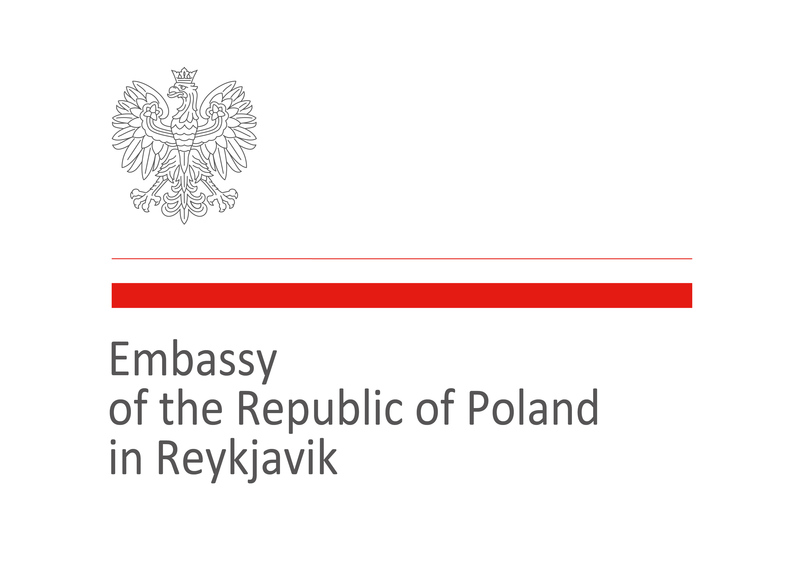 Ókeypis. Þessi magnaða tónleikasveit hefur allt frá stofnun tekið þátt í Jazzhátíð Reykjavíkur hvert ár. Hún hefur skotið upp kollinum utandyra sem innan og ávallt skilað mikilli gleði og músíkákafa inn í hvert einasta hjarta. Sveitin gerir víðreist þessa dagana og hefur undanfarið leikið víða í Evrópu. 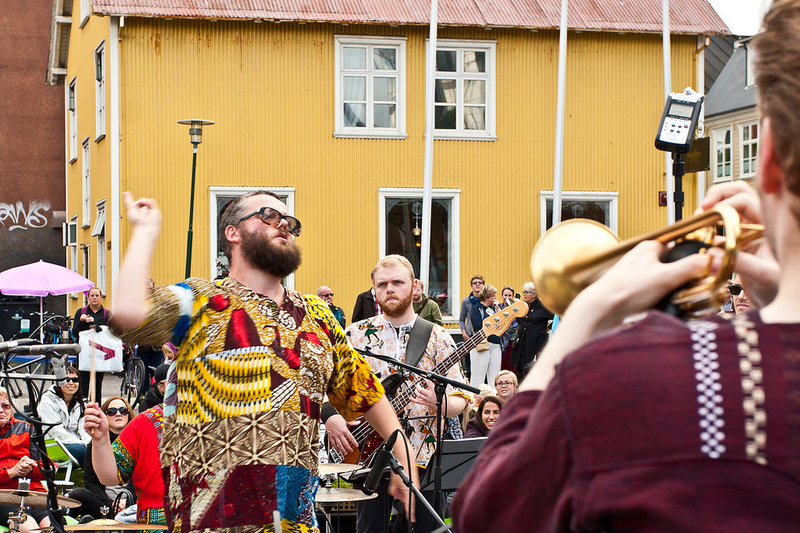 This fantastic afro-beat orchestra has since its inception in 2000 taken part in the Reykjavik Jazz Festival every year. They have preached their love and musical enthusiasm inside and out and always leave their audience with a happier heart. The band has been touring Europe lately to critical acclaim. Alþjóðlega sveiflusveitin Secret Swing Society býður upp á hamingjustund með söng og leik. The Secret Swing Society provides Harpa with the happiest of hours, courtesy of the good old days. Í tilefni af því að Vernharður Linnet fagnar sjötugsafmæli sínu í lok ágúst, verður þakkargjörð Jazzhátíðar Reykjavíkur helguð honum þetta árið. Í samstarfi við afdjöflunarmiðstöð Kirkju Óháða söfnuðarins hefur verið haldin uþb annað hvert ár þakkargjörð til heiðurs þeim sem hafa lagt sitt af mörkum til jazztónlistar á Íslandi umfram það sem eðlilegt getur talist. Meðal þeirra sem sitja hafa þurft við þessi tækifæri undir hömlulausu lofi um sjálfa sig undanfarin ár eru Jón Múli Árnason, Björn R Einarsson og Árni Ísleifsson. Nú er komið að Vernharði Linnet, sem hefur helgað jazzmúsíkinni líf sitt, svo ekki sé sterkar að orði kveðið, lengi vel sem aðalsprauta Jazzvakningar. Hann sat um árabil í stjórn Jazzhátíðar Reykjavíkur og var framkvæmdastjóri hennar 1992 -1996. Verharður hefur um áratuga skeið gert útvarpsþætti um tónlistina og auk þess sinnt því vanþakkláta starfi að skrifa gagnrýni um viðburði, plötur og annað sem opinberlega er borið á borð fyrir þjóðina undir merkjum jazzins. Sunnudaginn 17. ágúst kl 15 koma saman nokkrir vinir Vernharðs og lesa yfir hausmótunum á honum lofrullur af ýmsu tagi. Þar á meðal eru aðstandendur Jazzhátíðar og Jazzvakningar auk tónlistarmanna sem hafa þurft að þola skrif hans um list sína, sumir í áratugi. We celebrate the seventieth birthday of Mr Vernhardur Linnet, Iceland’s Jazz Benefactor for decades. In cooperation with the de-demonizing center of the Church of Independent Worship (?) the Reykjavik Jazz Festival has bi-annually celebrated an individual who has gone beyond a reasonable call of duty to further the cause of jazz in Iceland. Among those are individuals who’s names would mean little if anything for those not brought up in Iceland. See their names in bold above. 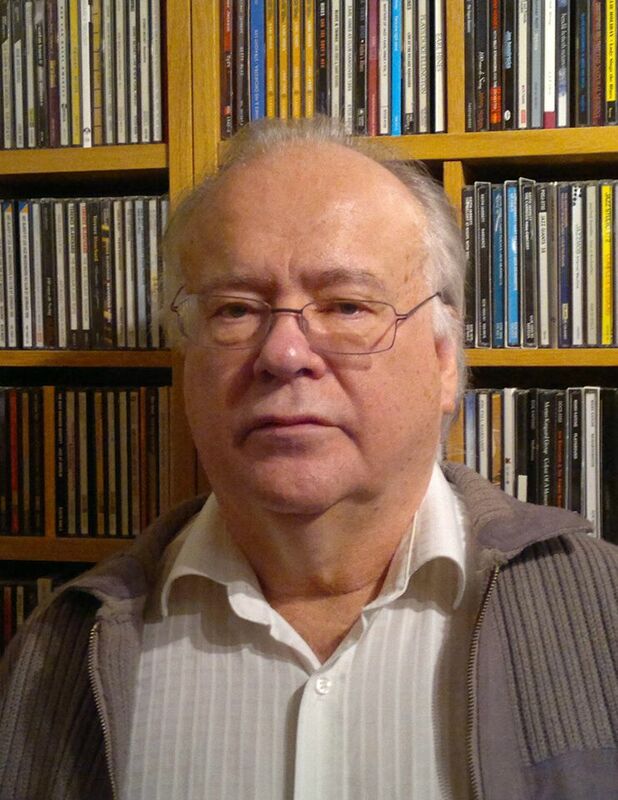 Our victim this year is Vernhardur Linnet, who has devoted his life to jazz, first with Jazzvakning (Jazz Awakening Society) and later on the board of The Reykjavik Jazz Festival for many years and its manager 1992-1996. Vernhardur has made countless radio programs on the subject and also been handled with dignity the difficult job of jazz critic. Sunday August 17th at 3 pm a few of Vernhardur’s friends will slam him with various thoughts on his involvement in jazz. Mostly positive we expect. 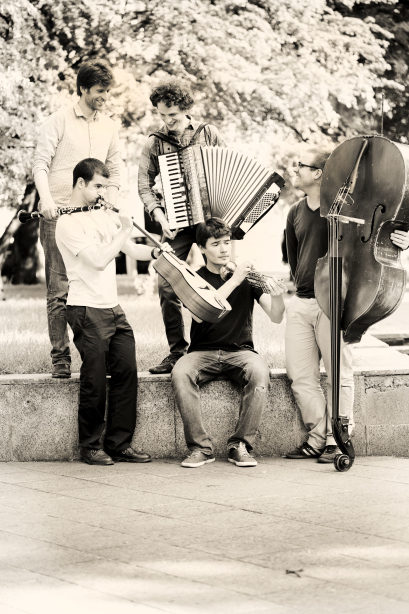 Among those present will be representatives from the Reykjavik Jazz Festival and Jazzvakning. Also musicians who have had to tolerate his writings about their art, some for decades. Fiðluleikarinn og tónsmiðurinn Adam Baldych fæddist í Gorzów í Póllandi 18. maí 1986. Gælunafn hans “Evil” þykir lýsa vel spilamennsku hans og spuna. Adam hefur verið þátttakandi í alþjóðlegu tónlistarlífi frá 16 ára aldri en hafði þá þegar vakið athygli í fiðlukeppnum heima fyrir sem undrabarn í tónlist. Hann þykir búa yfir sérlega þroskuðum tón í sinni ungæðingslega spilagleði sem byggir jafnt á áhrfium Rachmaninovs og Radiohead, svo ekki sé nú minnst á Miles Davis og Jimi Hendrix. Adam Baldych er margverðlaunaður listamaður, en hann var valinn Echo jazzlistamaður ársins í Þýskalandi 2013 en bikaraskápur hans er úttroðinn allskyns verðlaunagripum frá því hann vann ungliðakeppni jazzleikar í Póllandi 2001. Hann hefur komið fram á öllum helstu jazzhátíðum Evrópu. Á Jazzhátið Reykjavíkur kemur Adam Baldych fram með hljómsveit sinni “The Imaginary Quartet, sem skipuð er löndum hans; píanistanum Pavel Tomaszewski, bassaleikaranum Michal Baranski og slagverksmanninum Pawel Dobrowolski, sem allir eru í fremstu röð pólskra tónlistarmanna. 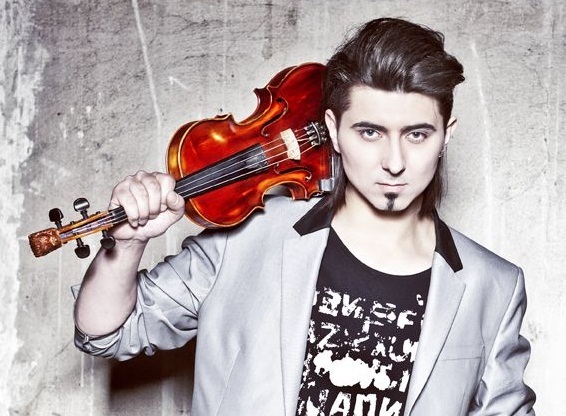 Violinist/composer Adam Baldych was born in Gorzów, Poland, May 18th 1986. His nickname “Evil” portrays somewhat his dispostition towards playing and improvising. Adam has been an active participant in the international music scene since he was 16, already established on the home-front as a child prodigy violinist. He has been praised by audiences as well as critics for having a mature sound to go with his youthful energetic playing style. His influences range from Rachmaninov to Radiohead with a firm footing in Miles Davis and Jimi Hendrix. 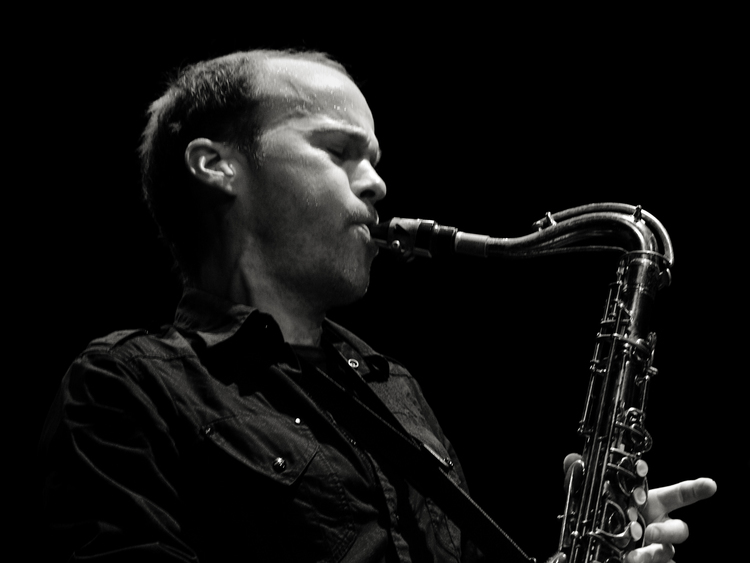 Adam Baldych has received numerous awards for his music since he won the Jazz Juniors competition in Krakow in 2001. His lates award is the German Echo jazz prize. He has performed at all the major festivals in Europe. 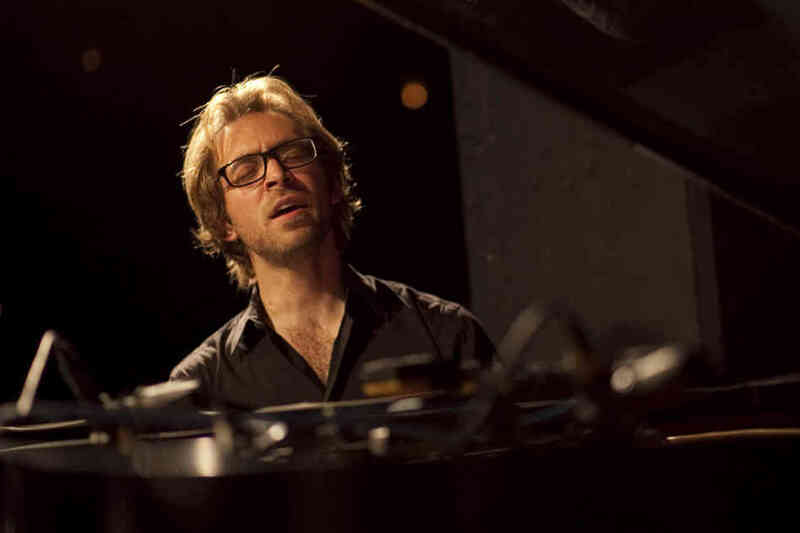 At the Reykjavik Jazz Festival Adam Baldych will share the stage with his Imaginary Quartet: pianist Pavel Tomaszewski, bassist Michal Baranski and percussionist Pawel Dobrowolski, who are all among Polands finest artists. ADHD gæti allt eins heitið HRON (hljómsveit Reykjavíkur og nágrennis). Hópurinn var settur saman á efnafræðistofu í úthverfi borgarinnar og hefur unnið saman í áratug að sinni lífrænu, melankólísku en þó glaðværu og dýnamísku tónlist. Fimmta platan er tilbúin og þar sem öll sköpunargleði hljómsveitarinnar fer í tónlistarflutninginn sjálfan heitir hún ADHD eins og hinar, nema að hún ber númerið 5, og kemur út hjá Contemplate í Þýskalandi í október. Lögin á nýju plötunni eru saminn úti um allan heim en verða öll flutt á sama stað á Jazzhátíð Reykjavíkur í Hörpu á lokadegi hátíðarinnarr 20. ágúst. Davíð Þór Jónsson: Piano, Hammond, Synths, Bass etc. Based in the greater Reykjavík area, ADHD is a four-piece band that consists of four old friends and colleagues. They have been working together in various projects and bands for over a decade. 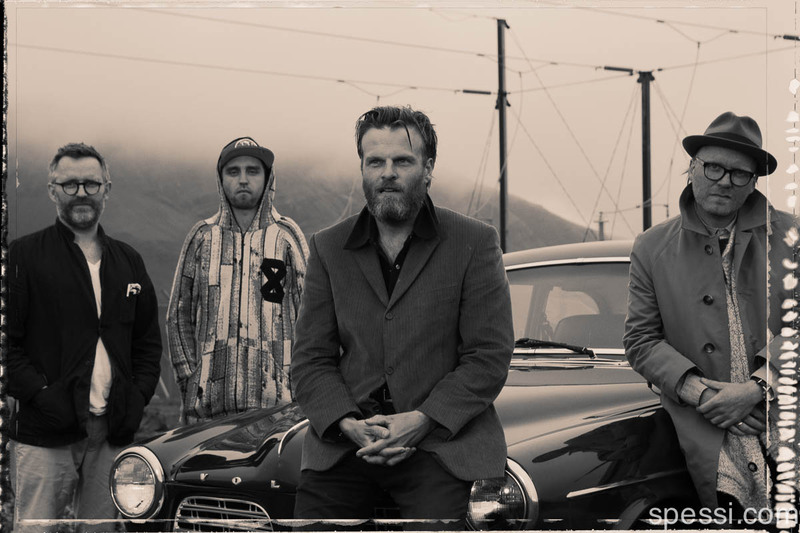 The chemistry between the four players was immediate and their debut album (the self-titled adhd in 2008) won them stellar reviews, as well as “Jazz-album of the year” at the Icelandic Music Awards. Now, four albums and extensive touring later ADHD are finishing and releasing their 5th album in collaboration with Contemplate-music in Berlin. The record contains 8 songs that were written all over the place; a few were written in January this year when the band had a few days off on a European tour and got to spend those days close to Bad-Meinberg in Germany at a very good friends house. Others were written in the studio or at some home or…The songs are a very dynamic mixture of a lot of elements; melancholic at times, cheerful, soft, loud and everything in between. ADHD performances, much like their live shows, are organic events and should not be missed. Tríóið leikur blöndu eigin tónsmíða Richards og Aarons auk gullkorna úr safni jazzins. Trommarinn Andreas Fryland og bassaleikarinn Richard Anderson haf þróða með sér áreynslulausan hugsanaflutning í samspili sínu undanfarinn áratug. Þeir hafa komið fram með mörgum helstu jazzleikurum Dana auk fjölmargra alþjóðlegra listamanna. Píanistinn Aaron Parks frá Seattle hefur verið í framlínu nýrrar kynslóðar jazzleikara síðastliðinn áratug. Hann hefur undanfarin misseri leikið með Kurt Rosenwinkel og er meðlimur í hljómsveitinni James Farm með Joshua Redman og fleirum. Hingað kemur Aaron beint frá Kaupmannahöfn þar sem hann hefur verið gestur JazzDanmark og leikið listir sínar einn og með dönskum. Á Jazzhátíð Reykjavíkur kemur hann fram á tónleikum með bassaleikaranum Richard Anderson og trommaranum Andreas Fryland sunnudaginn 17. ágúst. Einnig gengur Aaron til liðs við Kaupmannahafnarkvartett Sigurðar Flosasonar 19. ágúst. This trio plays a mix of old standards, original jazz conpositions and original compositions by Aaron Parks and Richard Andersson. The red thread is the love for good and strong melodies played with fresh harmonization’s and rhythmic displacements. 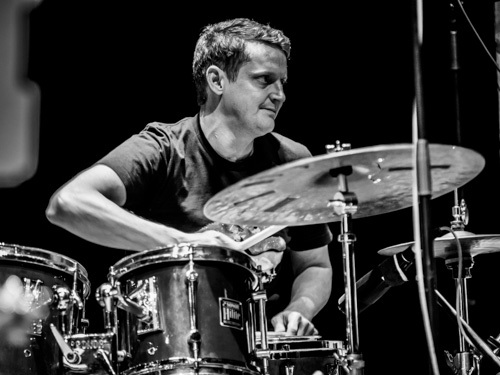 The two musicians from the Danish jazz scene, drummer Andreas Fryland and bassist Richard Andersson, have worked together for a decade, which shows in their almost telepathic way of playing together. They have both played with numerous Danish and international jazz stars as Tomas Franck, Christina Von Bülow, Jef (Tain) Wats, George Garzone among others. Seattle pianist Aaron Parks has been an important part of the new international generation of jazz musicians for the last decade. He has toured with Kurt Rosenwinkel and James Farm (including Joshua Redman). Aaron visits after a residency with Jazz Danmark at the Copenhagen Jazz Festival. At the Reykjavik Jazz Festival he will perform with bassist Richard Anderson and drummar Andreas Fryland on Sunday August 17th and on the 19th he will join forces with the Copenhagen Quartet of altoist Sigurdur Flosason. Chris Speed er “góðkunningi” Jazzhátíðar Reykajvíkur. Við heyrðum síðast í honum á Jazzhátíð fyrir tveimur árum með hljómsveit Jim Black – Alas no Axis, en þeir Jim hafa verið nánir íslensku tónlistarlífi í 20 ár. 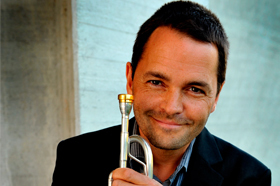 Í þetta skiptið mun Chris koma fram með tríó sínu með bassaleikaranum Chris Tordini og íslenska trommuleikaranum Matthíasi Hemstock. Efnisskráin mun spanna frumsamda tónlist og ekki kæmi á óvart ef inn á milli læddust einhverjar af minna þekktum tónsmíðum meistara jazzsögunnar, en Chris Speed á það til að læða músík eftir aðra inn í dagskrár sínar. Chris Speed mun einnig koma fram með hljómsveitinni Pachora á háíðinni. 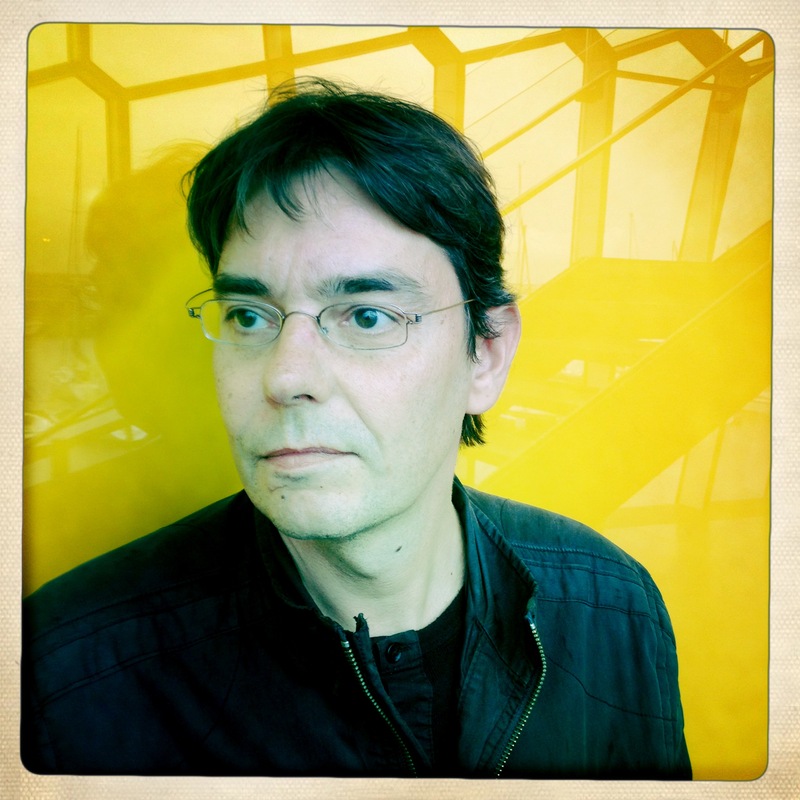 Chris Speed has been a close friend of the Icelandic music scene for over twenty years. We heard him with Jim Black’s Alas no Axis at the festival two years ago but this time he will present his trio with bassist Chris Tordini and local drummer Matthias Hemstock. The program includes Speed originals and it is very likely that he will include a number or two from the vast collection of compositions by those he holds in the highest esteem. 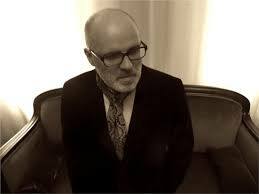 You can also hear Chris Speed in a highly anticipated and rare performance with Pachora at this years festival.